Some people think email marketing is dead. They couldn’t be more wrong. If you want to really build success in your business, one of the most important things you can do is build a strong email campaign. In the end, it’s the only online marketing asset you can really own. Your social media following will never be owned by you, it’ll be owned by Facebook, or Instagram, or Twitter. The problem today is that you can’t get away with mediocre emails. You need to use each email you send out to bridge that gap of humanity. 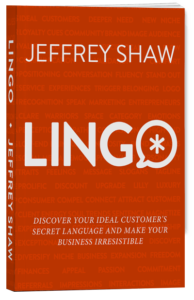 Take the time to show your consumers you understand them, that you really know what they want and ultimately that you care. 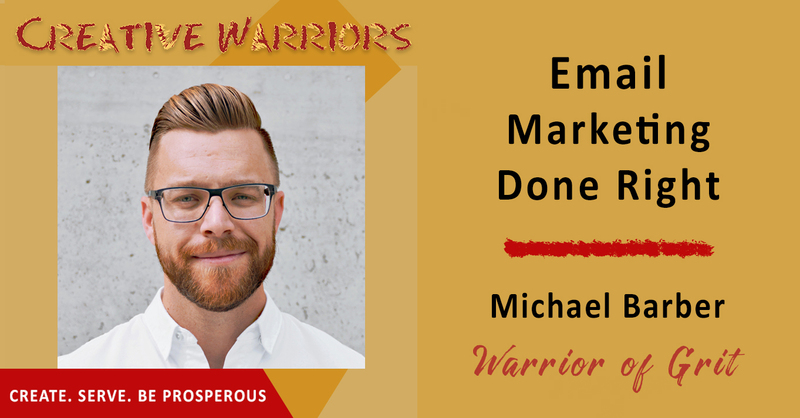 On this episode of Creative Warriors, we are joined by one of the greats when it comes to online marketing: Michael Barber. Michael Barber is the Senior Vice President, Chief Creative Officer at Godfrey. His work has been featured in The New York Times, The Wall Street Journal, and Forbes. His work has been awarded numerous industry awards, but more importantly has driven successes including the most effective and cost-efficient campaign in the history of a Fortune 500 company, a 160x return on ad spend, and 50 million earned media impressions within the first month of a new product launch. I’m not going to lie about this one, it was a very selfish interview. I wanted to get as much knowledge from Michael as I could about improving my email campaigns and I know it’ll be a tremendous help to you as well. Download this episode now to learn how you can increase your open rates, and boost your profits through your email effort. The only lists you own are email lists. Know the standards for emails in your industry. Focus only on the metrics that matter for your business. Start adding a metric to measure your replies. Close the personality gap in your emails. Authenticating your accounts will let ISPs know you aren’t spam. Have a healthy image vs text ratio. Your subject line size doesn’t have an affect on engagement. Emails are as intimate as text messages. Make sure your content is accessible across all platforms.